Kate Spade Beauty by Kate Spade 0.03 oz Eau de Parfum Splash Manufacturer's Sample Vial on Card. The vial is about 75% full - please see picture for actual fill line. The back of the card is dated 2003, so this predates the 2007 reformulation by Jacques Polge and Christopher Sheldrake. Launched in 2001. 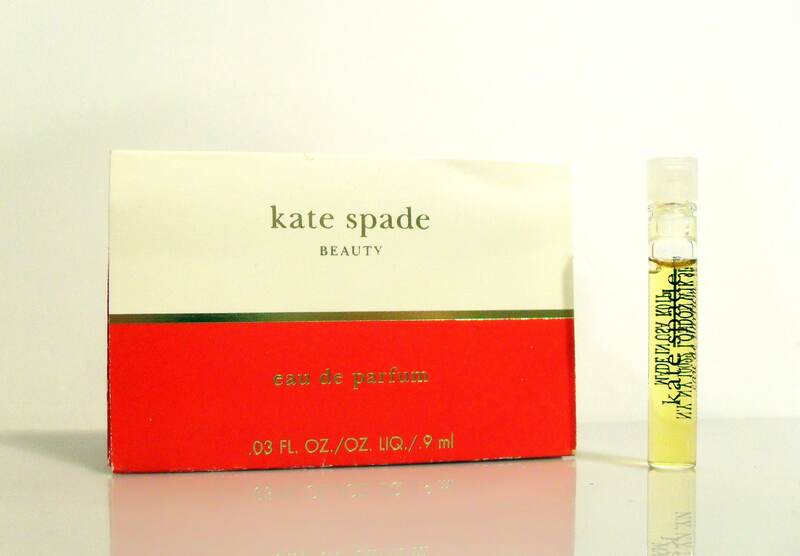 Kate Spade by Kate Spade is classified as a white floral fragrance for women. This fragrance has been discontinued for years and can be hard to find. Gardenia seems to have been discontinued around 1966 or so. Gardenia was relaunched in the 1980's together with other exclusive perfumes -Bois des Iles and Cuir de Russie. The reconstructed version is very similar to the original (vintage). At the time of Ernest Beaux synthetic materials technology was still undeveloped, and due to synthetic notes the new version of Gardenia is more modern and not at all that heavy and strong as expected from white flowers. The elegance of Gardenia is timeless. Natural fragrance of gardenia can not be distillated, and in this composition it is substituted by fragrances of orange blossom, and jasmine, succored by sweet tuberose note. In the base of the composition, beside musk, there are woody notes of patchouli, vetiver, vanilla and sandalwood. Samples were originally intended to give you an idea of the fragrance before you would purchase a large bottle.